Today we would like to introduce you to Event Smart, a very special project that is more than five years in the making. Event Smart makes online event registration and ticketing easy and more affordable, so you can focus on event management, rather than technology. Without ever installing any software, Event Smart lets you: accept registrations and sell tickets online, collect payments and get paid directly, automate marketing, start a blog, or build an entire event website. You don’t have to worry about database backups, updates, or plugin and server security. Event Smart is much more affordable than services like Eventbrite. Even if you are selling tickets, you can use Event Smart for free. You only pay for the advanced features you want. Request an invitation to Event Smart today. Give you the event registration, ticketing and management tools that maximize the success of your events. 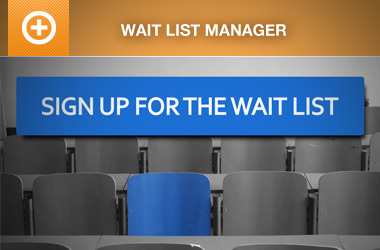 Become the world’s leading event registration and ticketing provider. Each year, Event Espresso powers more than 250,000 events which in turn sell more than one hundred million tickets. That is a lot of events, and Event Smart will make it even easier to create awesome live experiences without being a Webmaster. Thank you for helping to make Event Smart possible, and for trusting us to make wise decisions with the software that finances the events that are a crucial part of your business. Thank you to the WordPress communities who have been our advisors and advocates. I personally want to thank and congratulate the Event Espresso team for their years of hard work, dedication, focus and friendship. We are making a difference in the lives of millions of people, one event at a time. You can also follow the Event Smart blog for updates. This is a DOPE Idea and a welcome announcement! Something specific about Event Smart that is exciting to you? Garth – could be a good solution for me. Are Multiple Event registrations offered – Can’t see it in the feature list? Not yet, but we hope to have it available by end of Q1 or early Q2. Pretty exciting – what about gift cards and promo codes? Are they handled the same way as with EE3 now? Thanks. 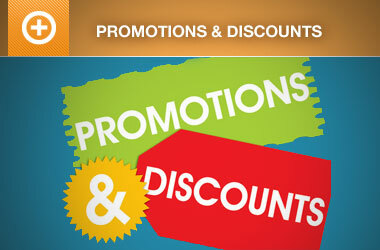 We don’t support gift cards per-se, but promotion codes and discounts are in development and should be available Q1. 🙂 We’ll make some announcements at that time too. Sounds like an exciting new service. Do you see it as replacing Event Espresso at some future point? ps. I’m looking forward to the Check-in attendees add-on to EE4, if that’s still in the works. Trilink that is exactly right. Event Smart is another way to use Event Espresso but without having to pay for hosting, maintain WordPress, maintain plugins, worry about security, or backups. It really simplifies online event registration + the ability to build event blog or website. We do not intend to replace Event Espresso with Event Smart, we see both of them being really important to event organizers (depending on the situation with their website). With Event Smart we can introduce them to online event registration without a website, but we expect that as people get really successful on Event Smart, that they will want to change and use Event Espresso to grow their business further. Now we the ability to serve the small event organizer or enterprise conference planner. Yes, the paper tickets and barcode/qr code scanning is still coming to Event Espresso and Event Smart. Both are in the final stages of testing with Event Espresso 4.6, and they should be released within a few weeks of each other. someone said it’s a “dope announcement” – i’m not sure if that’s good or bad, but more importantly I don’t know how I know if this service is a good thing or bad for me. What’s the use case for this. compared to EE4 running with on my site’s server??? Text says EE4 continues, so I guess they must be somehow complementary??? The use case for using Event Smart instead of Event Espresso, comes down to whether you need to have your own website or not. With Event Smart you can run events, your data is secure and backed-up, you can create pages and run a blog, etc. Event Smart is focused on event registration and ticketing websites. BUT if you need to run plugins beyond Event Espresso or need to customize the code, or have to use a specific theme (that is not available or cannot be supported on Event Smart), then you would want to run Event Espresso on your own server. If you’re familiar with the difference between WordPress.com and WordPress.org, it is similar. Event Smart would be like WordPress.com (we host your event site like they host blogs…but we can do that too), and Event Espresso would be like WordPress.org (the self-hosted version) where you can have far more control (but it a lot more hassle and can be far more expensive). Actually, the beauty of Event Smart is that it has already contributed to building add-ons for EE4 that would not have been available otherwise (see the list above). Event Smart should provide added resources to building more features and add-ons available to Event Espresso than would have been possible before…so the enhancements to EE4 will come quicker as we bring more event organizers into the Event Espresso/Event Smart platforms. Yep, that helps. Maybe I’m the only confused user, but if I were you, I’d add that use-case info to the initial intro here. Thanks! We probably need to do a follow-up post. Thanks for the feedback. Let us know when you get Multiple Event Registration running. Our site is still running Event Espresso 3 because 4 doesn’t have MER and now neither does this. We’d also be interested in how much Event Smart would cost, compared to our EE 3 subscription. Certainly, we’ll make an announcement when multiple event registration for Event Espresso 4 and Event Smart are available. We expect MER during Q1 or very early Q2 this year. Event Smart is priced based on the features you want. But, you also task us with the hosting, upgrades, backups, and security. So, Event Smart with MER could be as little as approximately $25/mo (don’t quote me on that exactly, because it depends on the other upgrades you purchase). I would love to TALK TO A PERSON about this. I’ve used y’all for over three years but am not that Event Espresso savvy. I have to pay a fee just to email a question. Any chance in an ACTUAL PHONE CONVERSATION ever happening? Again, I’ve used y’all for three years but sometimes it would help to talk to someone. Hi Kathy, we do not charge a fee for pre-sales questions in our support forums or pre-sales questions through our contact page. We do not offer technical support over the phone as part of the support that we provide to our members. If you require phone support instead of our support forums, then we would ask you to purchase a support token to reserve one-on-one time with the team member. Just want to register my feedback as well. I purchased Event Espresso specifically because it was NOT a cloud service. It is my hope that you keep these to options separate and allow both purchase of EE and ES as two definitively different options — well into the future. I’d hate to have to look for another solution because you go all cloud-centric. That said, those are my needs and I’d luv to keep supporting you. Keep up the good work! We intend to keep both Event Espresso and Event Smart separate. 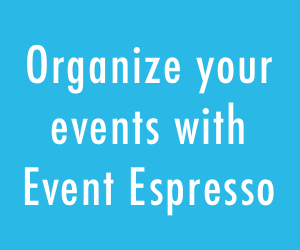 Event Espresso is a better fit for you, where as Event Smart might be a better fit for another event organizer. Both are important to a different type of user. The cool thing, is that with Event Espresso and Event Smart together, those who start with Event Smart to get familiar with Event Espresso and get their events off the ground before they move to Event Espresso and have even more control and autonomy (but often more expense and hassle). There are trade-offs with both platforms, but now you have options. Don’t see how this can be lower cost. I can see how this would be a higher revenue model for EventEspresso. Not sure how it fairs with customized presentations etc. Perhaps leasing out on an event by event basis may be a really good value, for those, possibly most, that run less than 5 events per year. Recurring monthly charges can be a killer for small businesses. Event Smart users can run unlimited PAID events for free (no monthly fee). Then, if they want they can subscribe to advanced features at as little as $3/mo. I can’t see how that can get any more affordable for small businesses. I agree with Joseph that while Cloud is the rage, for providers, the users sometimes get a raw deal. We use a Cloud based inventory management system …Suite and we are at the mercy of the provider. He is on the wrong platform, application does not scale seamlessly, goes down and provides poor performance during busy periods. If we hosted our own, we can match the processing requirements to our load. If they get hit by a bug, everybody goes down. Will you be hosting this on a fault tolerant processing platform? That’s the beauty of Event Smart and Event Espresso. People can grow their small business on Event Smart, and if they want to move to Event Smart they can. Good hosting is not very cheap these days, and that can be prohibitive to small businesses too, in addition to the requirements to become a Webmaster and spend time (money) managing the servers, plugins, etc. The Event Smart architecture has built-in redundancies and duplication to be sure that if a server crashes we can quickly deploy another to keep going. Again, you can’t get that level of architecture on your own without investing thousands. My firm has been trying to determine the best course for one of our clients in need of an event registration platform. While we are perfectly capable of incorporating Event Espresso into the custom WordPress website we are creating, we are wondering if Event Smart might be a better solution for them after we are long gone, if you know what I mean. It reads as though Event Smart is for the newbie event manager that doesn’t require a website otherwise… and would simply run a website through Event Smart. Would it be possible to Event Smart’s capabilities into the WordPress site we are builing (that will be hosted on a WP managed server)? You’re right that Event Smart is easier for new event organizers or those who are tired of managing servers and such, but I’m not sure I understand your technical question fully? This is great, does it integrate with Infusionsoft yet and Member prices addon? Can you explain what you’re looking for with Member prices? The WP User Integration is not yet available on Event Smart.